Probiotics are a type of “good bacteria” that people can add to their diet via food and supplements. They balance out bad bacteria found in the gastrointestinal system and help primarily with digestion. Recent studies among health-conscious consumers show a growing interest in “functional foods”, or those that have added benefits. Probiotics are often considered a functional food, as supplements aid the body in other ways than basic nutrition. Societal diseases like obesity and diabetes are causing an increase in health concerns related to digestion. These major factors are boosting probiotic sales both internationally and regionally as various audiences begin to see health-affirming effects of these supplements. Recent polls show probiotic use in individuals who do not have health issues as well. Additionally, the growing market is receiving ongoing research regarding new bacterial strains for supplementation. This factual, considerable potential is assuring retailers all over the world that probiotic use will only grow in coming years. BioThrive Sciences offers potent and effective probiotic strains for manufacturing. Our facility offers expert microbial knowledge and high quality products. With private label probiotics from BioThrive Sciences, your consumers will love the way they look and feel. Label design and printing is customizable and always compliant. The global market for probiotics is projected to reach over $36 billion in coming years. Through growing concern for preventative measures, family health, and functional products, retailers will be able to target every demographic and audience they need. 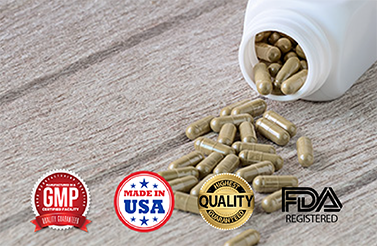 To learn more about private label and contract manufacturing of supplements, probiotics, and products, contact our state-of-the-art facility online or call (844) 263-3657. Our company provides comprehensive services and quality products. Products are always shipped securely, on-time.